Past Vdays would involve solo food tours where I would drown my loneliness in bowls of miso ramen. I'm in my first relationship ever so this past Valentine's Day was a chance to celebrate with someone else besides myself. I gave Anna some spiffy bouquets, and she gave me the gift of food, the surefire way to my heart. A small wooden crate arrived a few days ago. 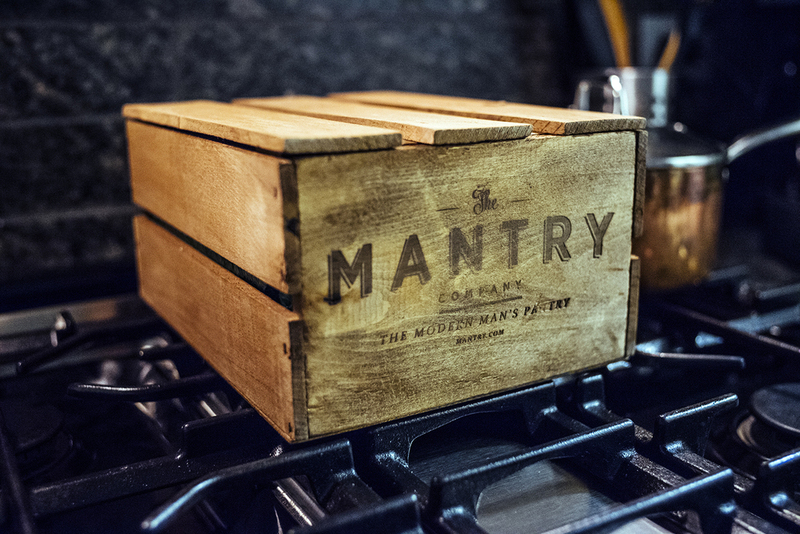 Mantry - is a themed crate that collects 5-6 artisan food products from around the US. The theme for this box was "Coffee and a Smoke" which celebrates two of America's oldest vices and highlights products that use smoke or coffee in their process. Was curious how this combo would taste so I opened this one up first. The buttermilk was a bit too tangy for my liking and the coffee chips were really bitter. 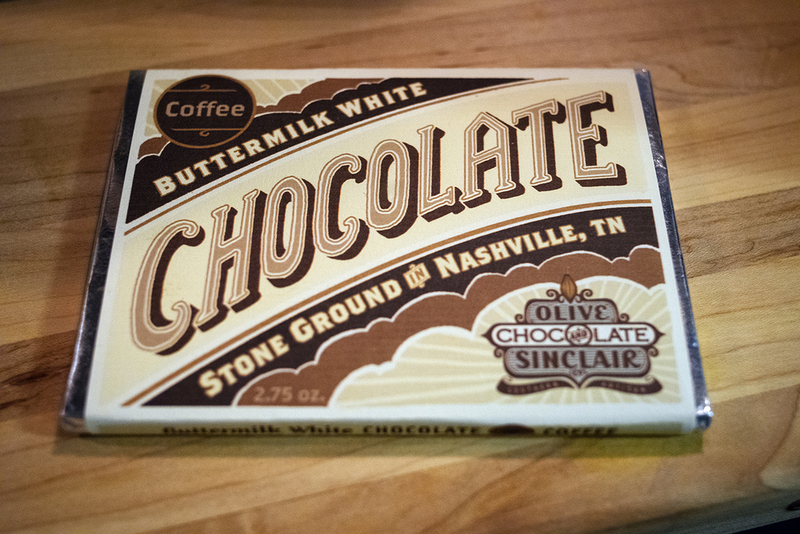 I prefer to stick with my usual dark and milk chocolate as I'm not the biggest fan of white chocolate. Pretty wrapper, though. Top chefs rave about La Quercia. Paul Kahan of Chicago's Blackbird exclaims that it is America's best cured ham. I had a few bites and it was deliciously smoky with hints of pepper and licorice from the caraway seeds. For an afternoon snack, Borsellino salami with Cabot cheddar slices and wheat crackers make a kickass gourmet Lunchables bite-size sandwich. Might make this omelette too. 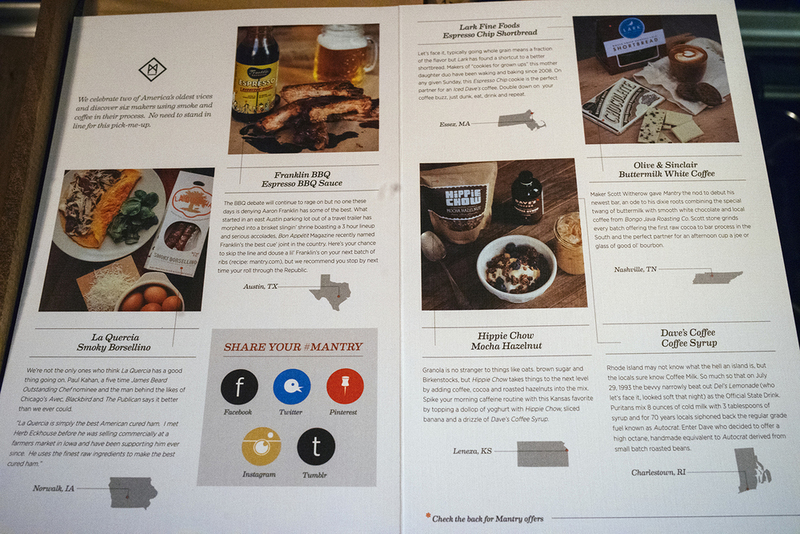 In April 2012, I went on a BBQ crawl in Austin with Miho. We hit up Rudy's, Salt Lick, then drove to Lockhart to sample giant beef ribs, moist brisket, and hot sausage rings at Kreutz, Black's, and Smitty's. My biggest regret was not having a chance to visit Franklin's so this bottle is as close as I'm gonna get. Will need to slather this on some ribs soon. 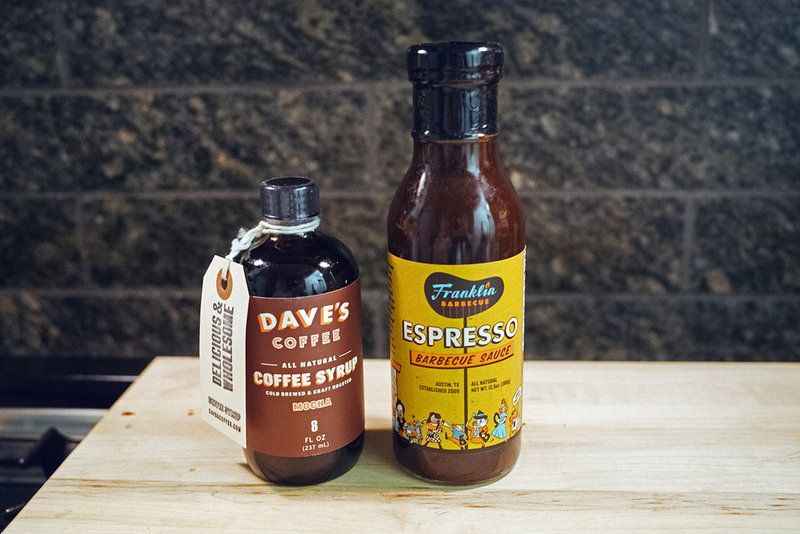 The coffee syrup will probably be incorporated into something sweet. Off the top of my head, coffee chocolate souffle, buttermilk coffee pancakes, or a coffee shortbread cookie sandwich with nutella filling and dusted confectioner's sugar. Who wants to come over and have a baking party? I am a granola nut and this ranks up there on my list. Perfect combination of flavors makes me want to pour almond milk over it and eat it as a cereal. Can't have just one handful - this is my favorite product from the Mantry. These shortbread cookies nailed the sweet and bitter balance perfectly. 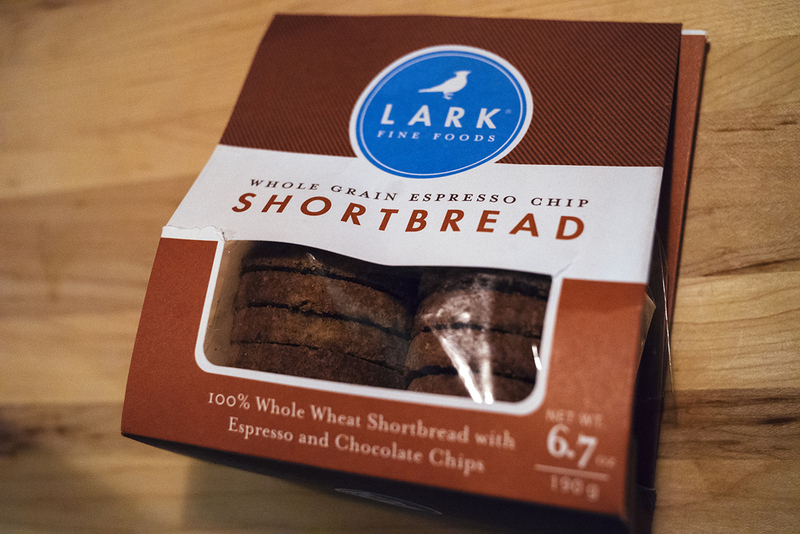 Skip the morning coffee and have a cookie instead - the espresso chips do the trick. One-time boxes cost $75 and would make a cool gift for your guy friends. To get an idea of the contents of past boxes, click here and the "What's Inside" button. All in all, I was pleasantly surprised by Anna's thoughtful gift as each item is unique and delicious. While it is true that you could buy each item individually at a lower cost, the curated experience is worth the premium. And the wooden box is pretty sweet.